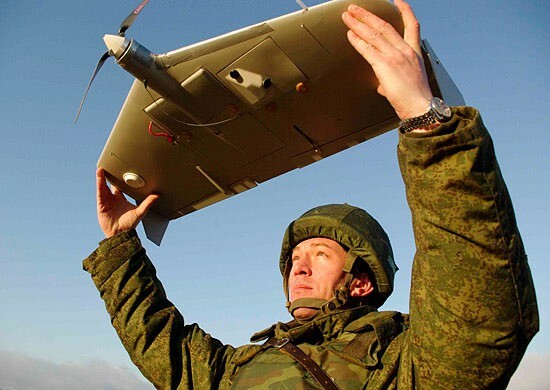 The soldiers of the Joint Force Operation (JFO) in Donbas have shot down the drone of the pro-Russian militants that made the reconnaissance of the positions of the Ukrainian Armed Forces as the JFO press service reported. 'On May 25, the forces and equipment of the air defense of the Joint Force, in the activity area of one the of the mechanized brigades that defends at Volnovakha direction, shot down the enemy's drone that made an attempt of the reconnaissance for further adjusting of the fire at brigade's reserves', the message said. As we reported the hospitals of Toretsk city in Donetsk region were damaged due to militants’ shelling. City anti-tuberculosis institution of Toretsk was under attack. Due to the shelling, 16 windows and a gas pipe of the building were damaged. The shelling also damaged municipal psychoneurological hospital of Toretsk, in particular, 2 ironclad slabs, 58 windows, 6 doors and 2 cars. Earlier, Russia-backed militants attacked Toretsk, Donetsk region. The shells hit the building of a local social and psychological rehabilitation centre; there were 28 children inside at the time - aged from three to 17 years old. The law enforcers evacuated the staff and the children to the safe area. The building of the centre took minor damage; no casualties were reported in the attacks.